Make life simple when it comes to driving in one or more 2 & 3lb per foot heavy duty U Channel sign posts. Speed installation time by avoiding digging each post hole separately. 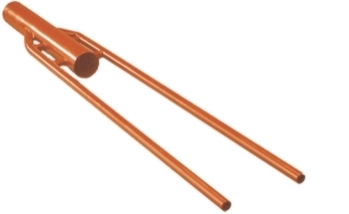 Heavy duty post driver is designed for use with 2 & 3lb per foot U Channel sign posts. Fit over top of post and drive the post into the ground with an up & down motion. Long handles for tall posts.